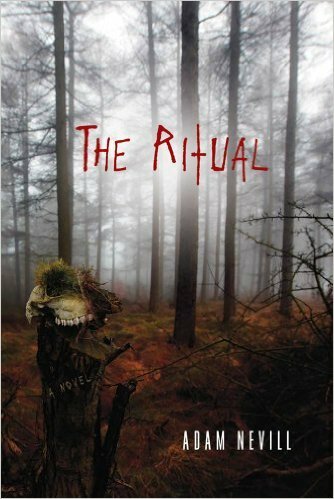 THE RITUAL by Adam Nevill is an astonishingly well-written contemporary horror novel. It is my new favorite horror novel. The story is so solidly grounded in the reality of four friends lost in a Boreal forest, that by the time weird things start happening, you are utterly entranced and fully bought into their precarious situation, their small bits of in-fighting and their utter terror at being lost. Nevill writes with a convincing contemporary verisimilitude, and a sense of care for his characters that is sadly all too often lacking in contemporary horror, and that makes you feel their every shudder, grieve their every loss, and strive for their every triumph. In the small careful nuances of his story, Nevill makes you believe, and believe utterly what is happening to his characters — both in their inner lives, and the extreme conditions they are suffering. The story begins when a group of old friends take a wrong turn in a deep, dark Scandinavian forest. Not so bad at first, but it’s rainy, foggy, dank, and hard. The bonds that tie them together are gradually fraying as the physical conditions harden and lock around them, and they have few options to get out of the forest safe and sound. Then, just as things look dark, it appears they are being stalked, but by what? (I should point out that because Nevill writes in such a convincing fashion, this never feels hackneyed or overwrought, just matter of fact, like a bear in Alaska). 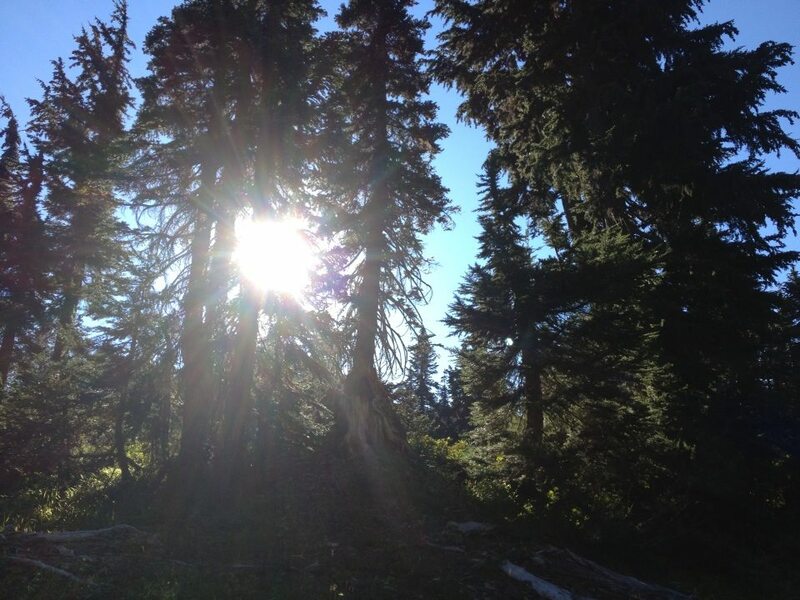 However, the story keeps the adrenaline moving, as first one and then another is injured, and then their leader is…. You know what, I’m not going to give away this critical plot point here. Suffice it to say that I thought the story was a “chase in the forest” story, and then — startlingly — I turned the page to PART 2, where the story takes a hard right turn into a different kind of tale, yet just as entrancing, just as terrifying, and even more strange. Brilliant work, Nevill, and hard to carry off — yet he makes it look so, so easy, and fluid. A great new horror writer, and tops on my list!